According to Hootsuite Pinterest has over 215 million monthly users. Many think Pinterest is a social media platform it is not. Pinterest is a search engine. Many bloggers get more traffic from Pinterest than from Google. Yet, many bloggers make a mistake that hinders their Pinterest account. This mistake is not re-pinning pins from other bloggers in your niche. It is not a secret that re-pinning great content grows your account and traffic. Not re-pinning other bloggers pins is a growing problem in the blogging community. Many drop links in Facebook groups and never re-pin. Some dump their pins in Tailwind Tribes and never re-pin. Group boards are often the dumping grounds for pins. Some bloggers do all three. Many of us have bought e-books and courses on pinning, looking for the best Pinterest tips. Dozens of blogging experts sell this information to bloggers. Many experts say ratio is key. There is no magic ratio. You must experiment. Some fair well pinning 80 pins a day, and some with 50. There is no way you can pin 50 pins a day with your own content, let alone 80, and succeed. Many pinners who are not doing well re-pin only their own content and pin less. You need to pin a lot. There are billions of pins and millions of pinners. It does not matter what method or technique you use. You could schedule your Pins on Tailwind, or you could pin manually. You are wasting your time and money on Tailwind if you are not curating your boards. If you join group boards and you only drop pins and run, you’re wasting your time and the time of hard working bloggers. Dumping your pins in Tailwind tribes is lame. What you’re doing is you’re spamming! There are no buts about it, you are spamming your content. Some don’t know better. Others do it because they are lazy. Some feel threatened by other bloggers. There are bloggers who think pinning someone else’s content takes away their traffic. All these mindsets are wrong. If you do not re-pin relevant content from other bloggers, you are stagnating your own growth! You will gain a reputation as a spammer, or as someone who drops links and runs. Once others catch on, people will stop sharing your content. When you are a blogger, you need to curate your Pinterest Boards. You need to collect the best information possible. If your niche is parenting, pin from other parenting blogs. You cannot cover everything. For example, I go to Disneyland once or twice a week. Because I visit Disneyland often, I know a lot about Disneyland. 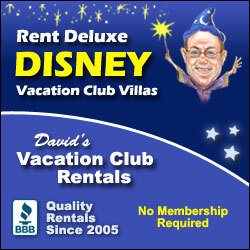 I don’t stay at the hotels, so I know nothing about Disneyland’s hotels. Because of this, I make sure I pin content about Disneyland’s hotels for my readers to find. I do this by pinning content from other Disneyland bloggers. A good niche specific Pinterest account will provide you with all the answers. If you do not have the answers, search for them and pin them from a blogger who does. I will tell you a story about a real blogger. This person, because of what they write about, could have massive amounts of traffic. They could grow and become a huge website. However, they use group boards as a dumping ground and only pin their own content. They go to Tailwind, leave pins in tribes and do not re-pin. When you go to their boards, all you see is their stuff. This looks like spam, and it’s unprofessional. They are stuck at 1.5k followers. Their Pinterest reach is 500k, which never changes. Despite there being 215 million users on the platform. Why? Because people see only their content on their account. If they need help with something else and this person doesn’t have a helpful pin, they will find someone who does. When you share someone else’s pin, it shows up in your feed and gains re-pins Pinterest notices. Pinterest favors people who share great content. This will help increase your traffic, not divert it to someone else. When you re-pin someone else’s content, someone that that has never seen or heard of you will see your re-pin. This will bring you more followers and more click through on your own pins. Especially when you pin content relevant to your niche. Do you understand? If you’re not pinning other bloggers content, you’re wrong. Pinning from other blogs will not divert traffic from your website. 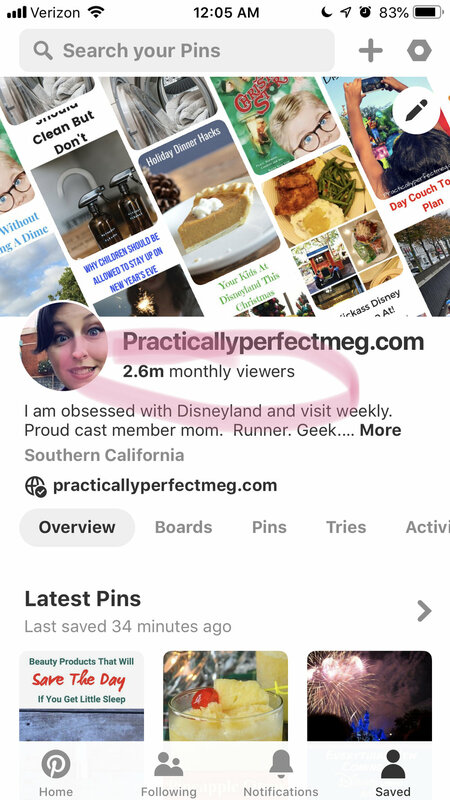 If you’re a Disney blogger like me, pinning Disney pins will attract people who love Disney to your account. If you read my Instagram post on how to get more followers, I always tell you to go to the competition. It will get you more attention! I don’t think of other bloggers as my competition. That word will hinder you. I consider other bloggers my colleagues and peers. I was afraid to pin Disneyland pins from other blogs when I started. I was afraid no one would read my content if I did. Guess what? That hurt my numbers. Once I changed the way I thought and began repining other bloggers content, my traffic picked up. Bottom line is if you’re serious about your blog, pin other bloggers posts, not only yours. You are doing your followers and yourself a disservice. Get a free month of Tailwind with my referral link. Click here to learn why you NEED an email list.